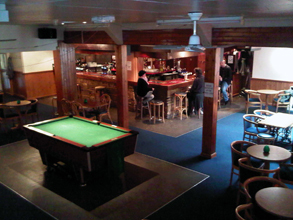 The Club offers a relaxed bar and social lounge, child friendly environment with a kids den and first class snooker hall. Other facilities include a range of sports and bar games. Both our Front and Rear Halls may be hired for private functions and other social events, including weddings, kids parties, clubs, seminars and collectors fairs. We encourage families to be a part of our memberships and welcome children of all ages. The Club has Disabled access and toilet. Copyright © VSSC All Rights Reserved.